For the few of you that don't know, I am a massive nerd. I like all the nerdy things your mother told you to avoid if you ever wanted to find a nice girl (or boy) and settle down. It should come as no surprise to you, then, that I like a little game called Magic: the Gathering. What is it a gathering of? 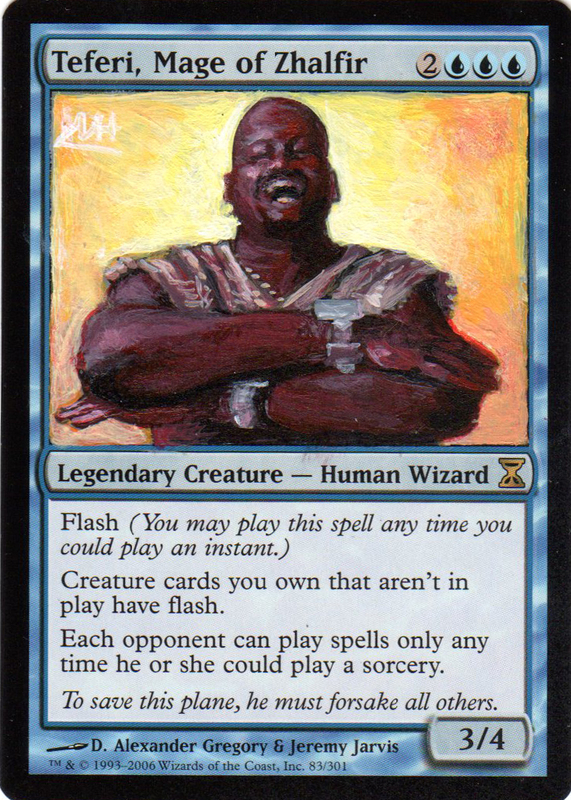 Magic, I assume, but also great art. On a scale of 1-awesome the illustrations for the cards in the game are completely out of hand. 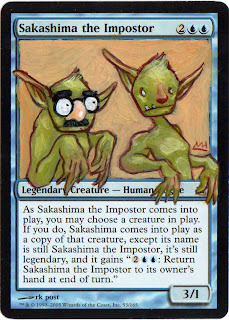 That said, I was approached by a friend of mine to deface some of these cards with little paintings of my own. Some being roughly 90 of them. 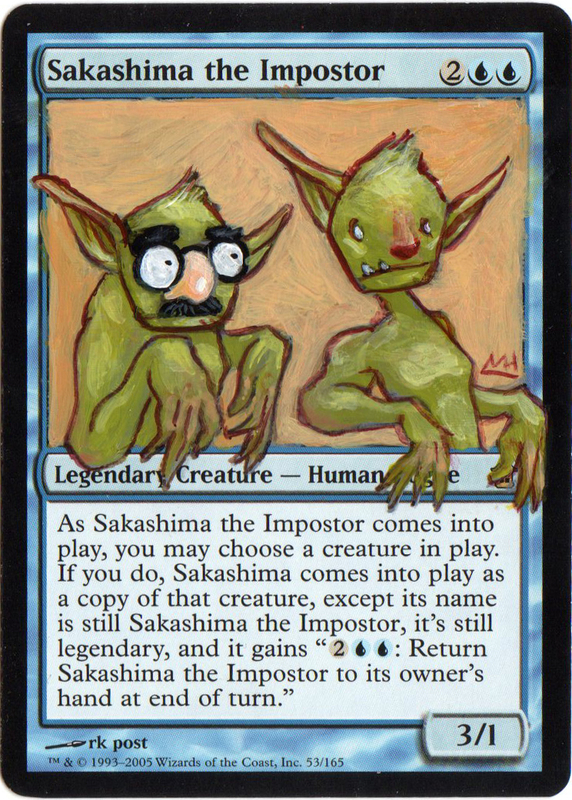 These little pieces of art are refered to as "card alterations" and are basically considered the "pimping" of the MtG scene. 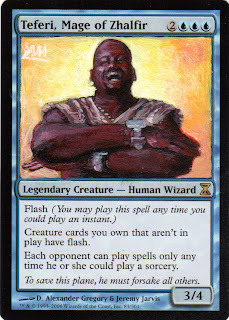 If Magic was at all considered cool, Xibit may have even made a show about it (yo, dawg I heard you like card art...). I have a good chunk of them down already, and they can be found here, but I thought I would share a few of my favorites so far. 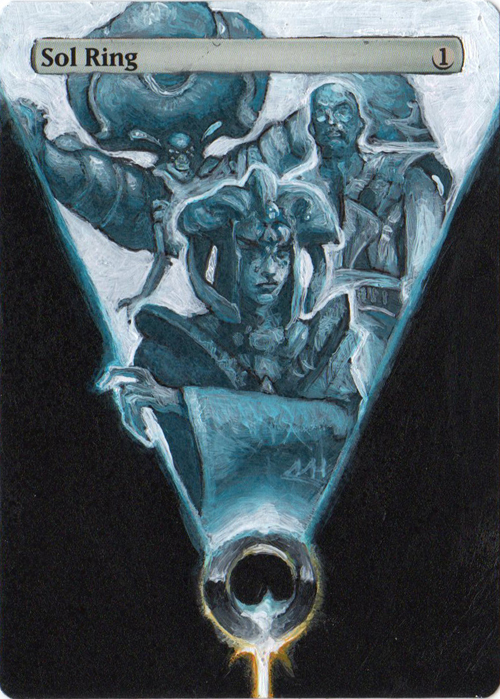 Keep in mind that the cards themselves are a whopping 2.5"x3.5", and the area in which I work on them is a fraction of that amount. They are really, really small. The other challenge, beside the size, is that - due to the need for flexablilty - the cards must be done in acrylics. Those who know me well enough to know how nerdy I am, also likely know that I hate acrylics. Or, hated, rather. I've come to respect them for this sort of work, because it does allow me to paint impossibly thin (another requirement for these little guys), and very quickly. So there you have it: one more thing that is hardly a marketable skill, but that I decided I needed to be able to do. Enjoy.